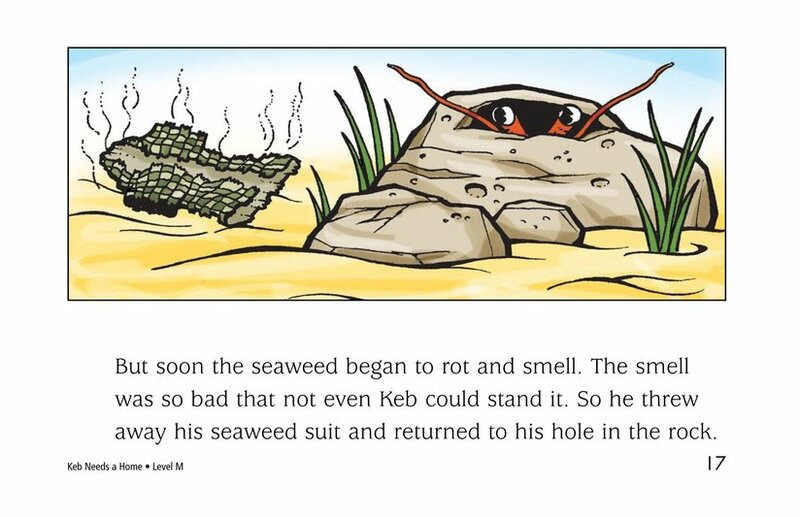 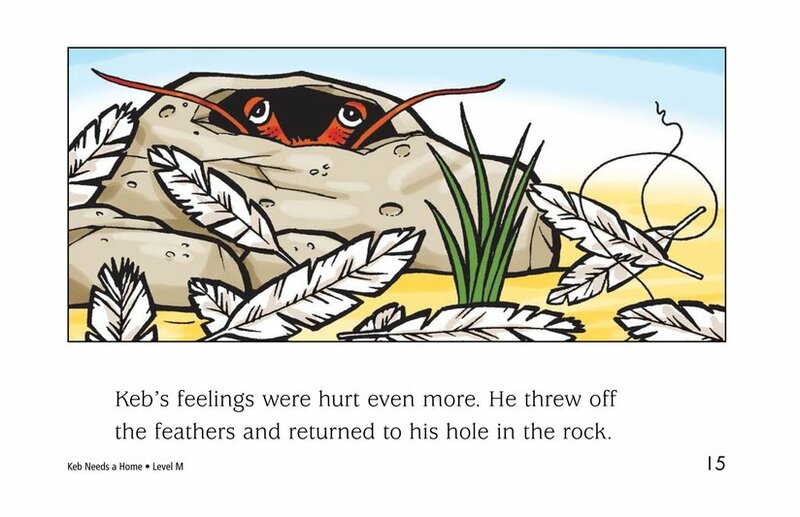 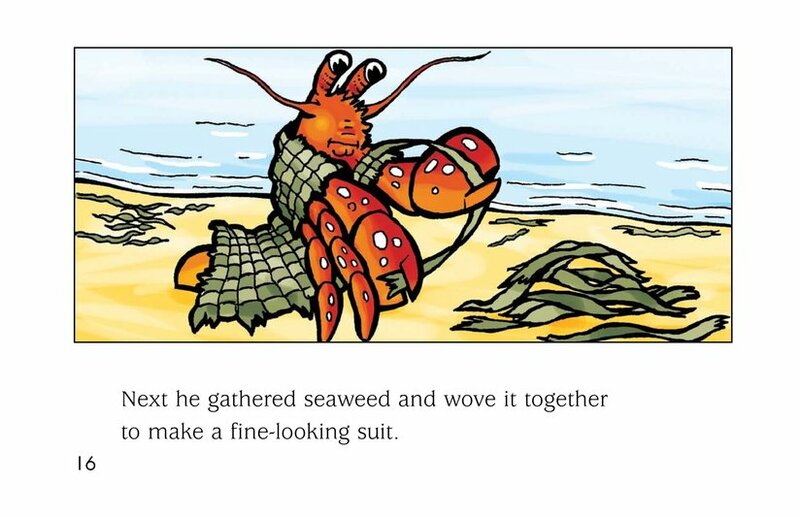 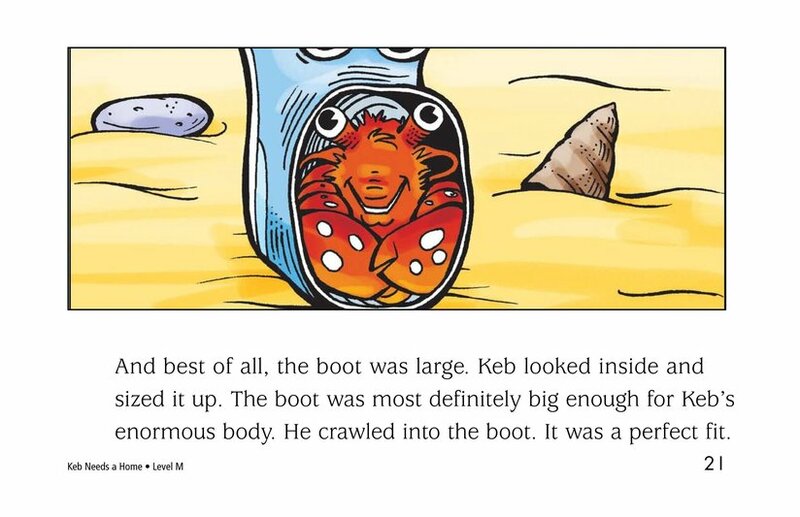 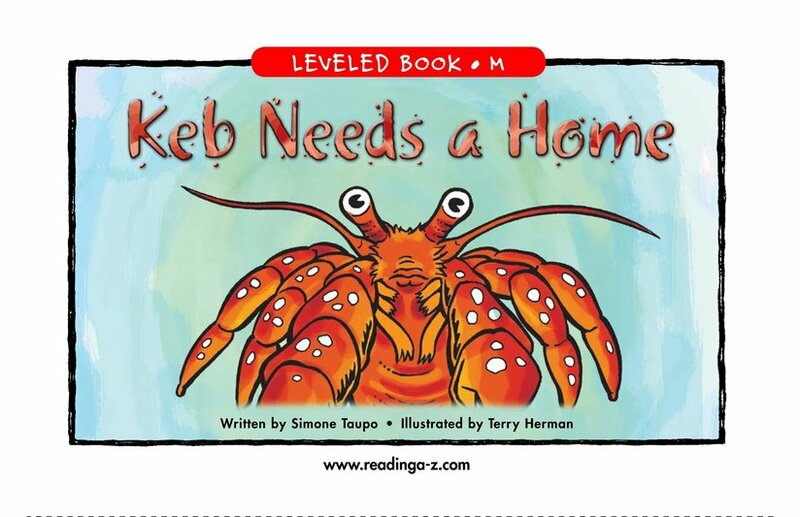 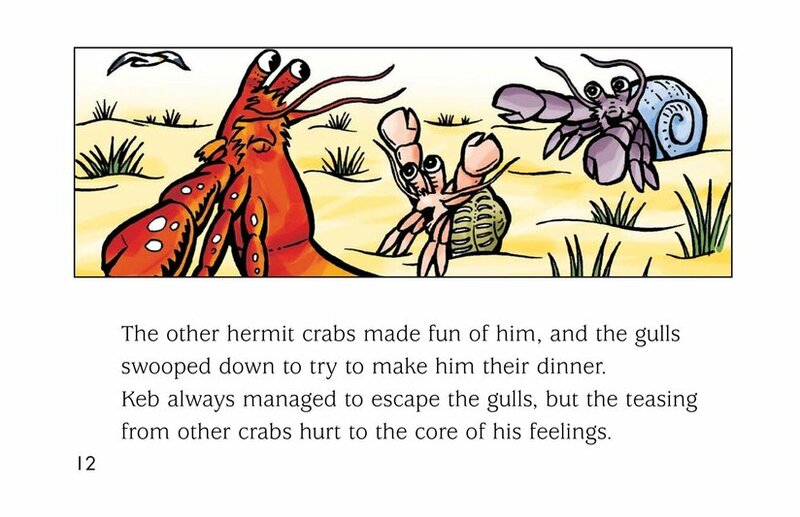 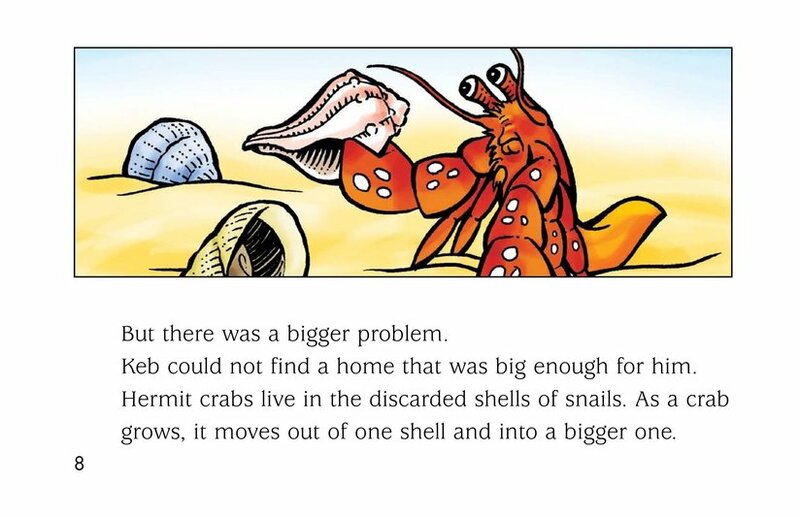 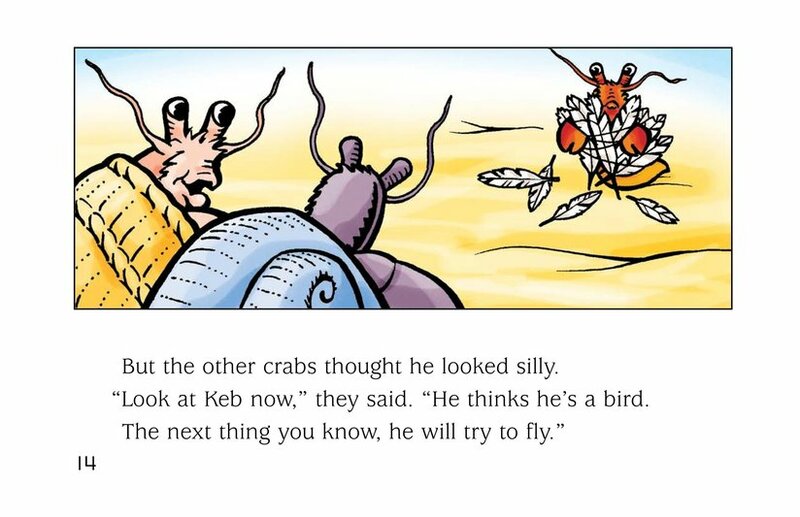 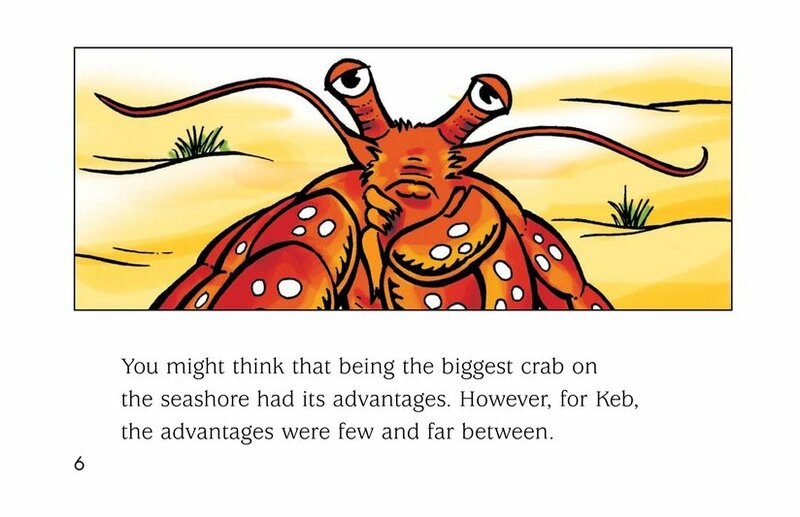 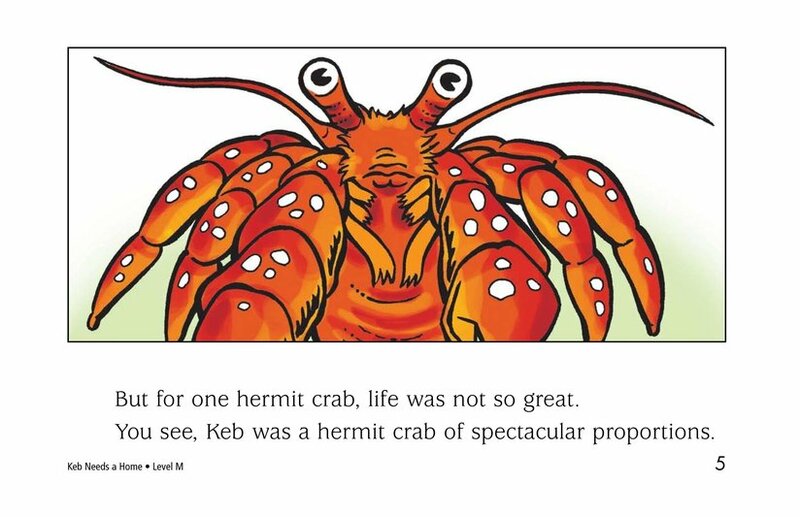 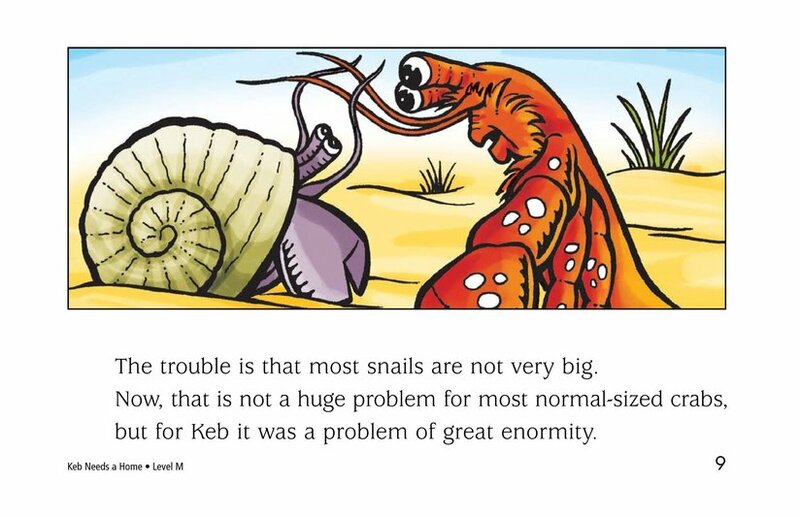 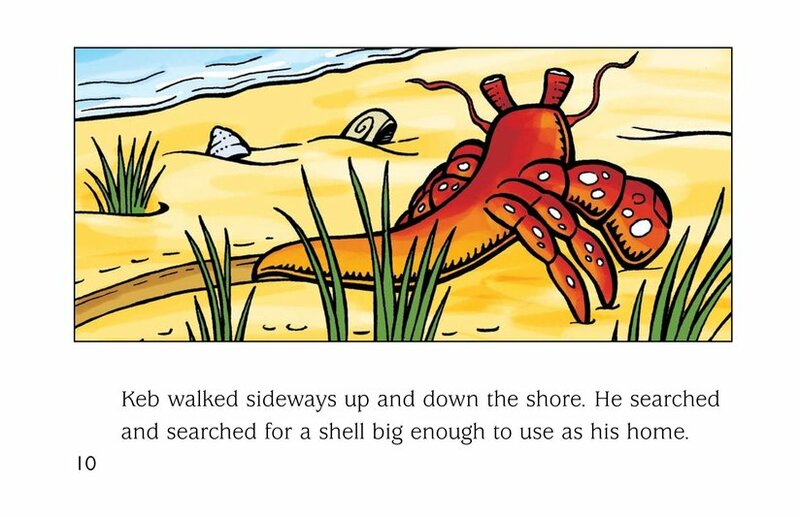 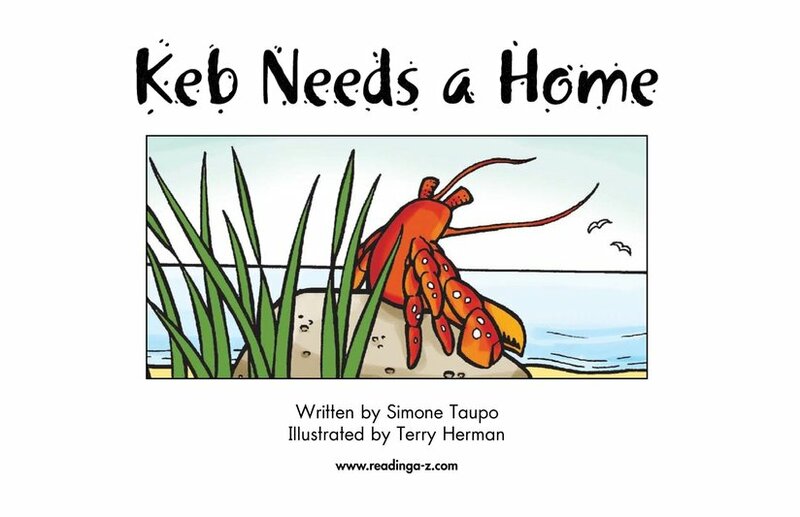 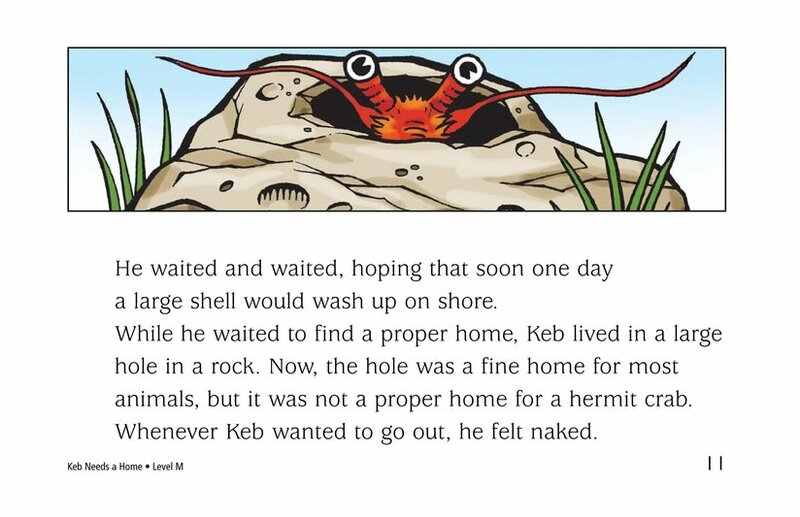 A hermit crab named Keb outgrows his shell and must find a new one. 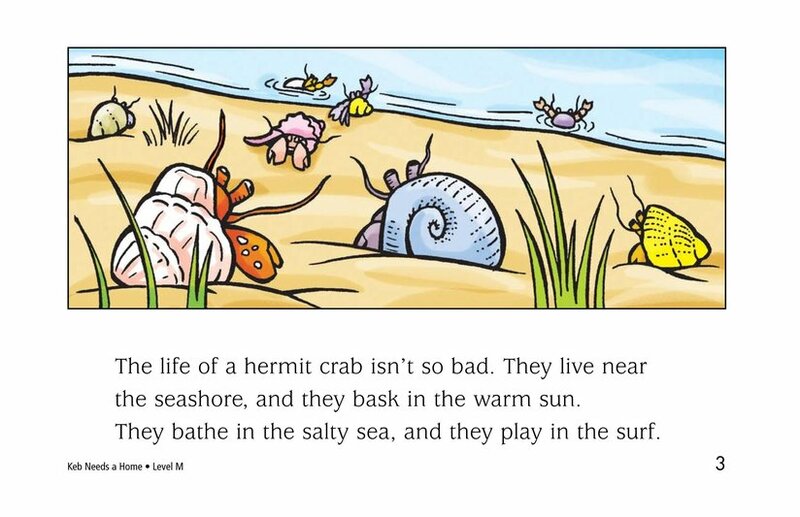 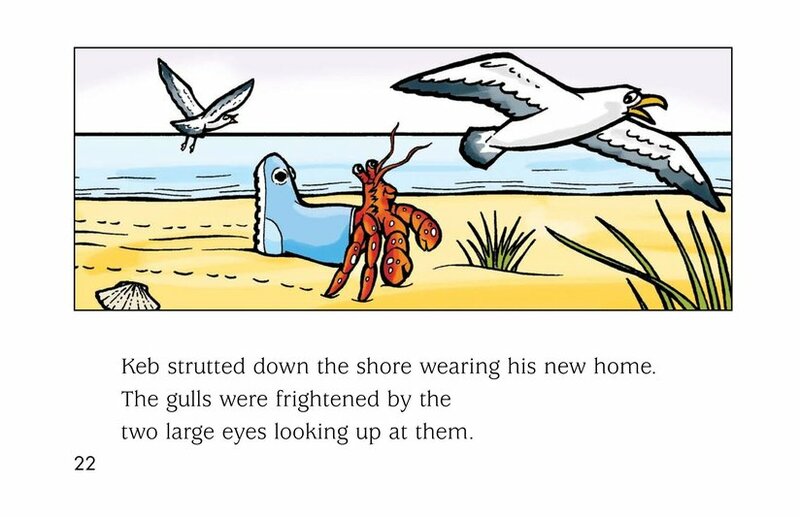 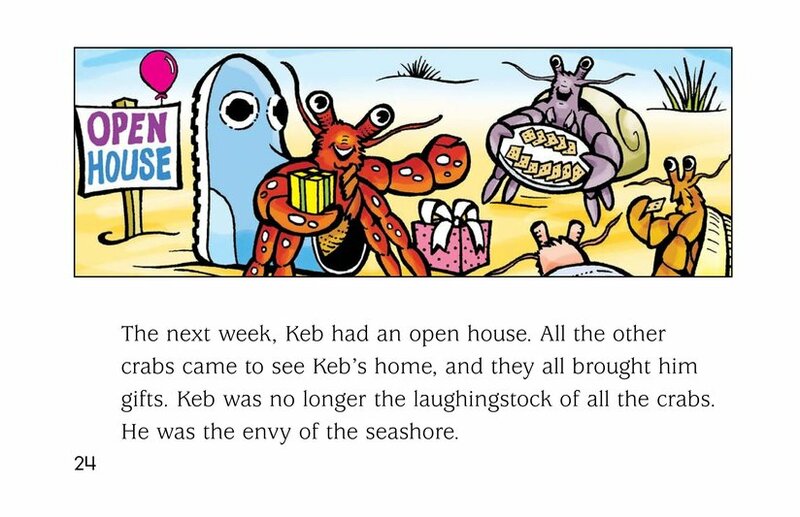 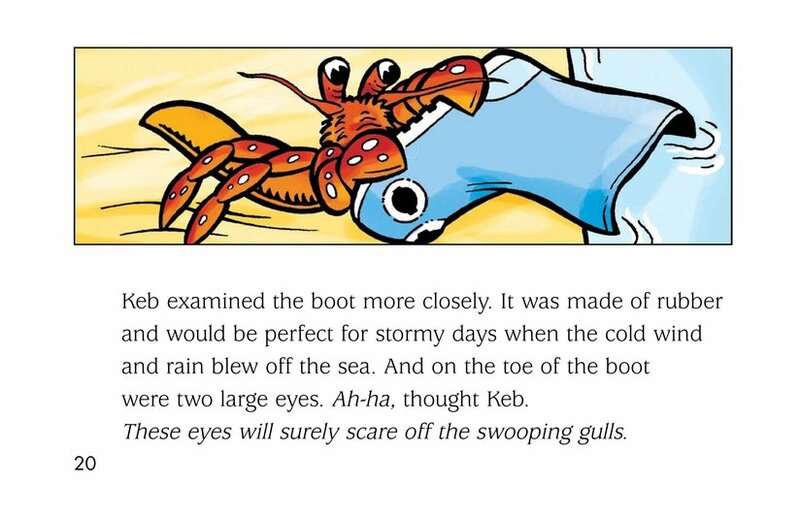 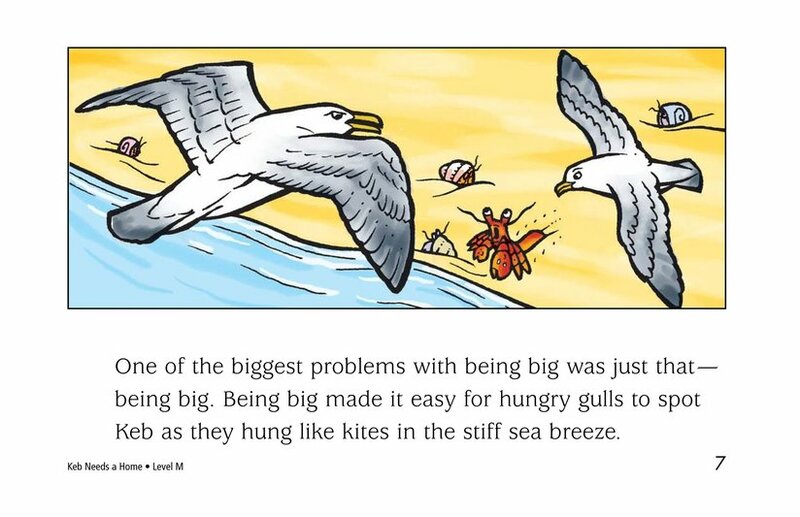 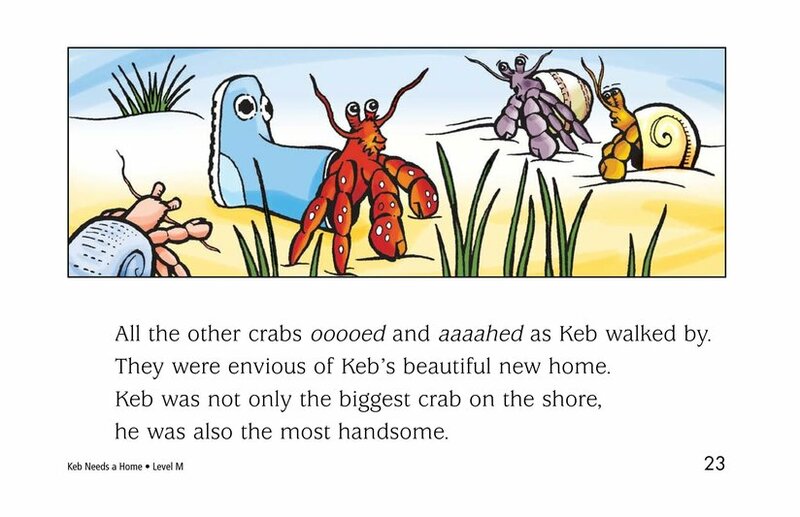 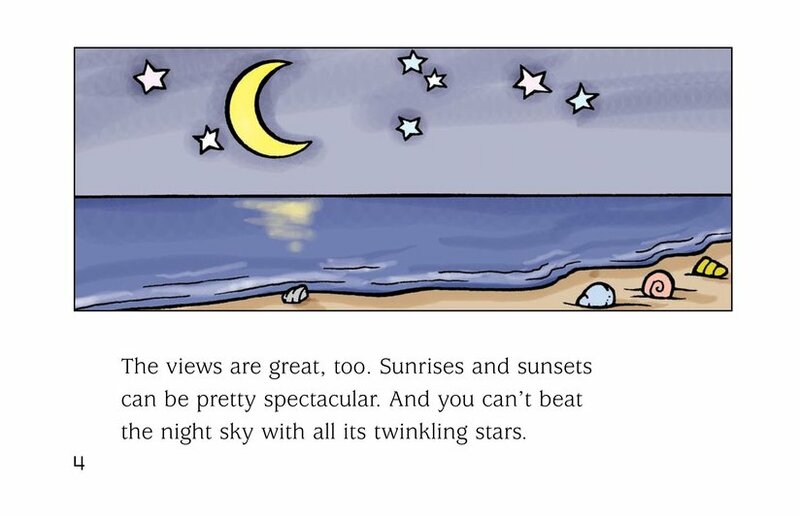 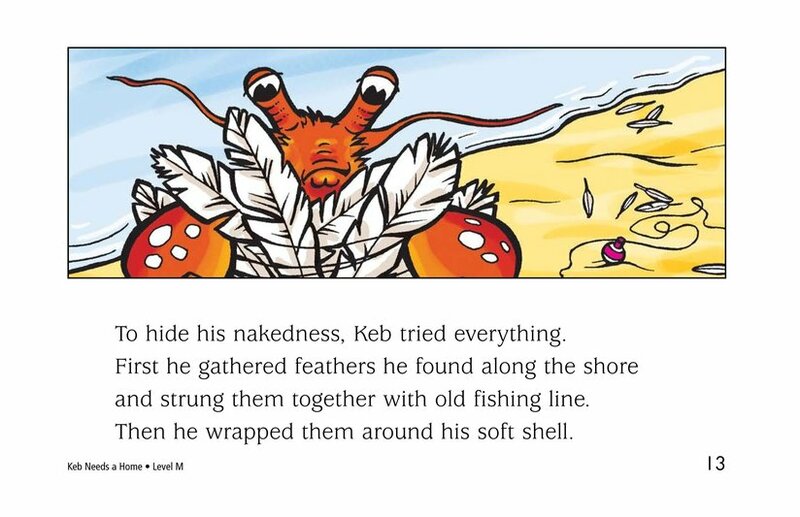 Keb is chased by seagulls and teased by other hermit crabs because he looks naked without a home. 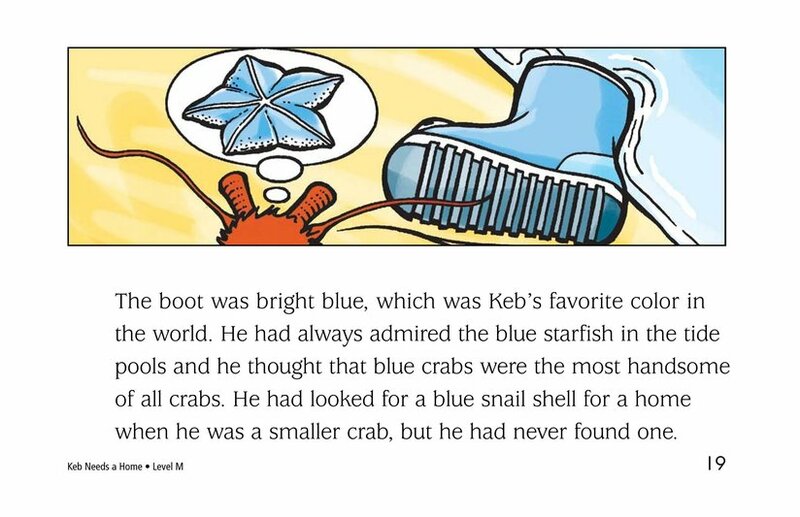 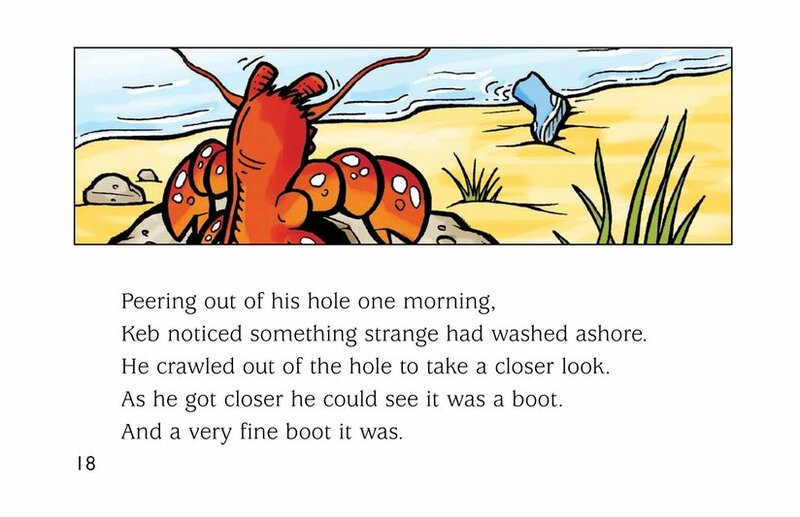 After trying out various homes, Keb finally finds a blue boot that has washed ashore.